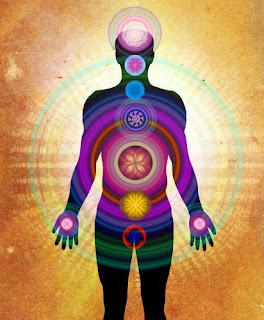 There are many now who are experiencing physical symptoms as a result of the transformation of energy patterns within the body. As these patterns change, each organ and cell of the body has to find a new way of existing in relation to the rest. The process is whole - that is, the body seeks and finds its own balance over time. Yet, in the meantime, the difficulties encountered can cause fear as a result of not knowing what is happening. It is very important to know that energies can create physical difficulties as a result of a new configuration emerging, and that the real work is remaining in trust rather than becoming afraid. Discomforts can be experienced with a sense of acceptance and even with inner guidance and assurance where fear is not allowed to take over. If you are in a situation where unusual or difficult bodily symptoms or forms of expression that do not readily lend themselves to clear understanding are happening, I invite you to be in touch with me. Much can be lived through with peace and even comfort if the process itself is trusted. I feel like I have been experiencing a whole-body transformation for the last 2 years - involving 7 months of trembling inside which ceased about 6 months ago. Memory recall and Dissociation (brain literally shutting down almost anesthetizing me and/or making it almost impossible to open my eyes, yet sleep was hard to come by. I chose to sink into the dissociation etc a few months ago, living in almost motionless fog which heaps of processing going on while in bed for 16 hours a day but the moment my feet hit the floor, nothing could be remembered. And while awake, thoughts were racing but none could be grasped and held. Eventually my brain seemed to suddenly switch back on and racing 'unknown' thoughts stopped. I am slowly improving although still struggle with significant short term memory loss. During this time of 'seemingly unable to function' my awareness of self became profound. I have become acutely aware of how distracted my mind likes to keep me and when I refuse to let it distract me and I choose not to act, waves of dissociation come again. During this time of surrender, Reiki worked like magic removing extreme pain in my shoulders which i had been 'unfixable' for years and slowly getting worse. It believe I am now very aware of my functioning and ego etc, and now have the ability to make choices that seem to make my whole body sing. And yet, it also seems to make my body be filled with so much positive energy at times that it doesn't know what to do with it. I feel like I am in a time of transformation with all of me willing to come into sync but not quite sure how. I realise my new awareness and ways of functioning have been a huge thing for my brain's autopilot to deal with but I believe my brain is choosing to now trust me but I need to allow it all the time it needs to feel safe with my new choices. Will this energy stuff settle down? Would more reiki help? Or do I just need to continue 'being still' to allow all of me to continue to learn how to work together?